The Department of Mechanical Engineering offers a new option in Marine Engineering and an option in Naval Architecture two years later. These new options lead to the creation of the Department of Naval Architecture in 1893, which in 1910 becomes the Department of Naval Architecture and Marine Engineering. 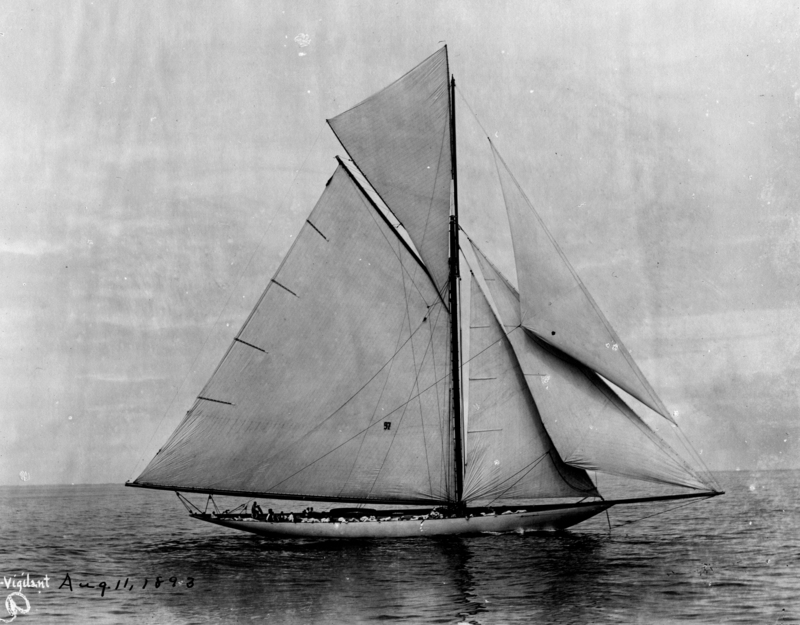 Nathanael Herreshoff (1870), the first graduate of the Department of Naval Architecture, designs and builds the America’s Cup winner the Vigilant. MIT and the US Navy establish the Naval Construction program under the direction of Professor W. Hovgaard. Lydia G. Weld becomes MIT’s first female engineering graduate, receiving a degree in Naval Architecture. Charles Herbert Pratt leaves a large gift to MIT to build the Pratt School of Naval Architecture (Building 5). Completed in 1922, it is one of the earliest additions to the new Cambridge campus. 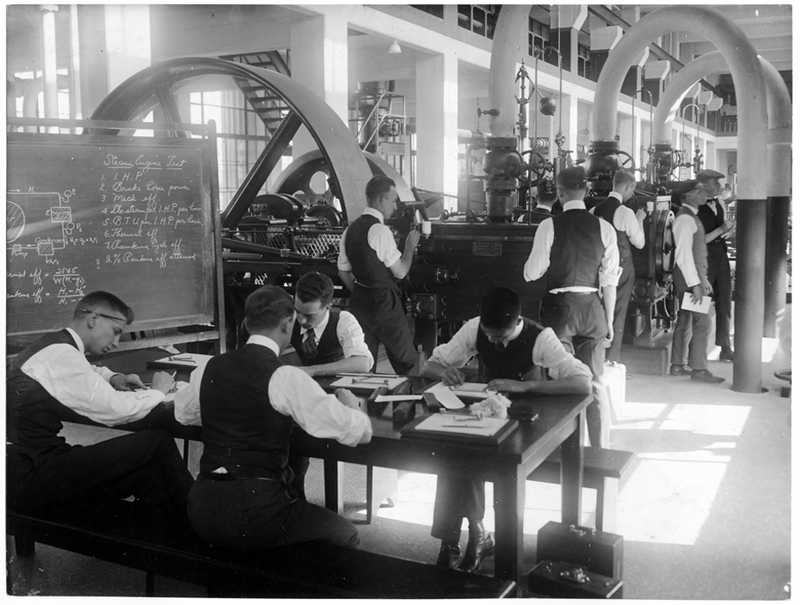 Naval construction graduate Jerome Hunsaker (1912) designs MIT’s first wind tunnel for a new laboratory of aeronautical engineering. He also becomes an instructor in the first MIT graduate course in aeronautical engineering within the Department of Naval Architecture and Marine Engineering. A new nautical museum, focused on naval architecture and marine engineering opens in MIT’s first purposed designed museum space in Building 5, now the Hart Nautical Museum. Professor Frank M. Lewis builds the Propeller Tunnel, used extensively for propeller design in support of the Navy’s torpedo development program during World War II. Admiral Cochrane (1920) oversees all ship production during the war. later serving as dean of engineering at MIT. Professor Martin Abkowitz inaugurates the Towing Tank in Building 48, a 108-foot long tank with innovative facilities used for ship hydrodynamics. The experimental submarine Albacore is launched with technical support from MIT alumni. 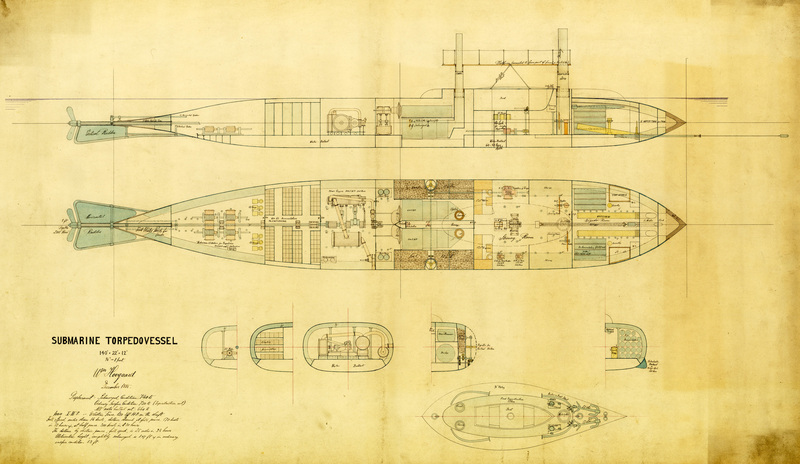 The first modern, teardrop-shaped Albacore revolutionized submarine design. Department head Alfred Keil guides the department’s expansion in hydrodynamics and introduces ocean acoustics and shipping management to its curriculum. The department changes its name to Ocean Engineering to reflect its expanded scope. Today, graduates of the shipping management program hold key positions in the industry worldwide. Through the Joint Program in Oceanographic Engineering, the department begins its long and fruitful partnership with the Woods Hole Oceanographic Institution (WHOI). MIT faculty and students continue to participate in WHOI’s world-renowned underwater technological developments. Under department head Francis Ogilvie, the department reorganizes its curriculum to include design and testing of complex electromechanical ocean systems. Professor Chrys Chryssostomidis founds the Autonomous Underwater Vehicles Laboratory, which has designed some of the most successful autonomous vehicles.